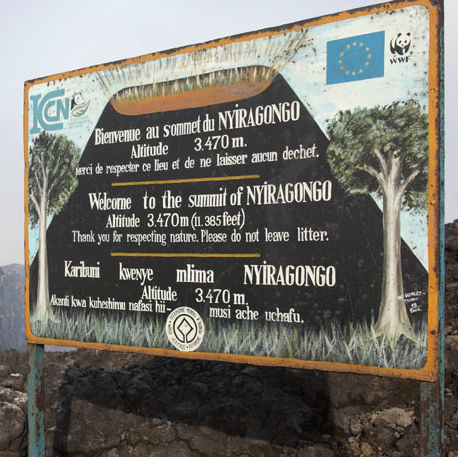 Day 3: Descend from Nyiragongo Volcano and return to Goma for an overnight. 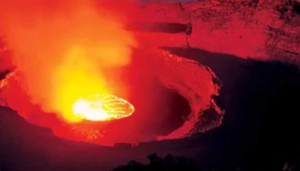 You will have a morning breakfast after which you will climb to the crater of Nyiragongo (5-6 hours) following an impressive trail through a tropical rainforest, and then through the lava flows of 2002 and volcanic desert. The hike will take you roughly 4-6 hours depending on your fitness and speed of hiking. Dinner and overnight at the tented camps at the summit of the volcano. On this day, you will wake up early, have breakfast and transfer to the national park headquarters for a simple briefing by the park rangers. At 8:00 am, follow specific tracks into the forest in search of the allocated gorilla family. You may also encounter other animals such as elephants, monkeys, and Columbus along with various bird species. Your interaction with the gorillas will be for an hour after which you will descend back to the starting point and then back to the lodge. Dinner and overnight at Mikeno Lodge/Bukima tented camp. 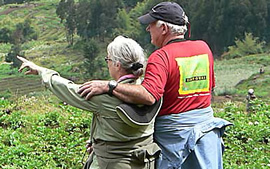 Gorilla Trek Africa makes sure all our clients stay at the most comfortable, in clean and highly rated safari establishment in the different destinations Uganda, Rwanda, Kenya, Tanzania, Burundi, and DR Congo. 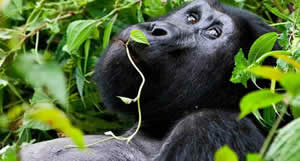 In this park, we have Sabinyo Silverback Lodge, Mountain Gorilla View and Gorilla Nest Lodge in the luxury category. In the mid-range are the Le Bamboo Lodge and La Palme Hotel.